Vertical Groove Driver review: designed to impart more forward spin for distance and forgiveness - but does it work? There’s a lot happening to driver faces in 2018. TaylorMade have twisted theirs and Cobra have gone with a milled face, but perhaps the most creative innovation is Vertical Groove Golf dropping traditional horizontal grooves. The company claim by switching to vertical grooves the driver imparts more forward spin, rather than side spin, increasing distance and also accuracy. In order to see whether their claim is reality, we went to Hadley Wood Golf Club in north London with our SkyTrak launch monitor to put it through a GolfMagic test. It’s a 450cc head, in a relatively compact design. It’s more tall then long, presumably because they wanted to max out the grooves. The long alignment aid on the top of the club allowed us to line it up with ease, and we enjoy the white on black contrast. Could be argued that compared to other premium products it doesn’t quite have that luxury aesthetic to it. The blasts of green will not appeal to all. When brands start getting creative with their clubs, particularly drivers, sometimes they forget about feel and sound due to an obsession with distance. But not Vertical Groove Golf. It’s a pleasure to hit, with a full-bodied, pure feel, and a medium to loud sound, which is slightly high on the scale. Impressive on the distance stakes when struck from the middle. It has a mid to high launch, and we got impressive ball speeds and yardages all day. Up there in the top bracket of drivers when it comes to distance. When it comes to forgiveness, there’s a decent amount packed in. While we found our miss hits stayed relatively straight, we did lose a decent chunk in distance and ball speeds dropped off. 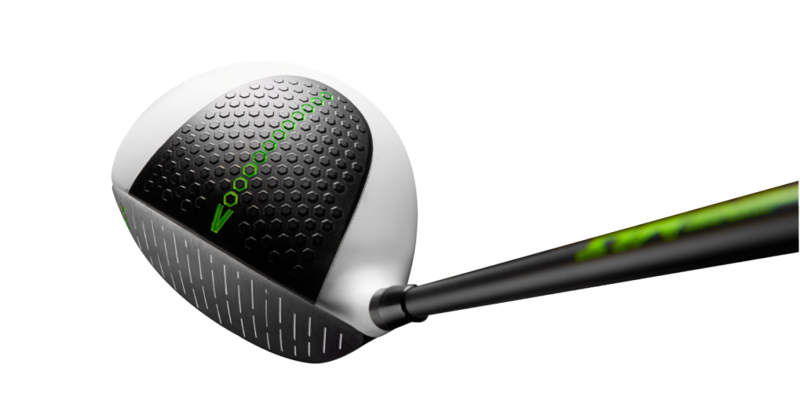 The Vertical Groove Driver posts some great distance numbers and has a superb feel and sound. While it stays relatively straight when you miss the sweet spot, we did lose a decent whack of ball speed. Overall, the Vertical Groove product will appeal to the player that wants to bag something different to what the crowd are playing, and the performance speaks for itself. Head to the Vertical Groove website for more.